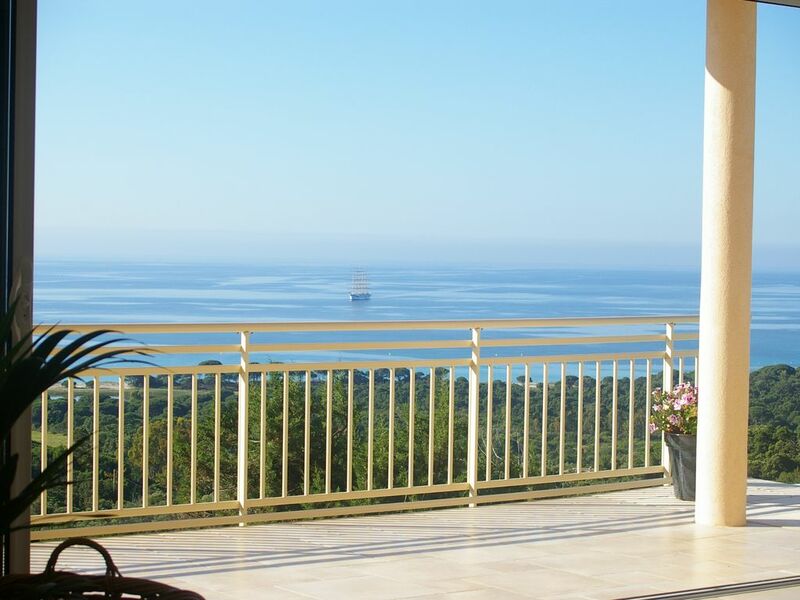 The villa has got a large terrace where you can enjoy a amazing seaview as well as a private pool. It is located in a peaceful area among maquis; the nearest neighbour are fifty meters below. To reach the Palombaggia beach (at 1200 meters), you can drive on a private way (shared with some others residents) with a little park when you arrive next to the beach. "trés jolie maison idéalement située, calme entourée de nature, trés bon acceuil du propriétaire." "Tout était parfait : maison neuve et propre, vue magnifique avec piscine à débordement; on y retourne l ''été prochain !!" On south exit of Porto-Vecchio, follow Palombaggia direction when you reach the circle which has got a stone arch. When you arrive in Palombaggia, follow Litarriccia residence signs. This residence is just next to the villa. There is a diving club on the beach just next to you.